Thanks to Reese’s and Collective Bias for sponsoring this post and giving me the opportunity to share these fun and easy snack ideas with all of you! You all know by now how I feel about chocolate and peanut butter. Best combination ever! Imagine for a minute a Reese’s peanut butter cup in a creamy, spreadably form that could be added to your favorite snacks to take them to a new level of yum! You guys. 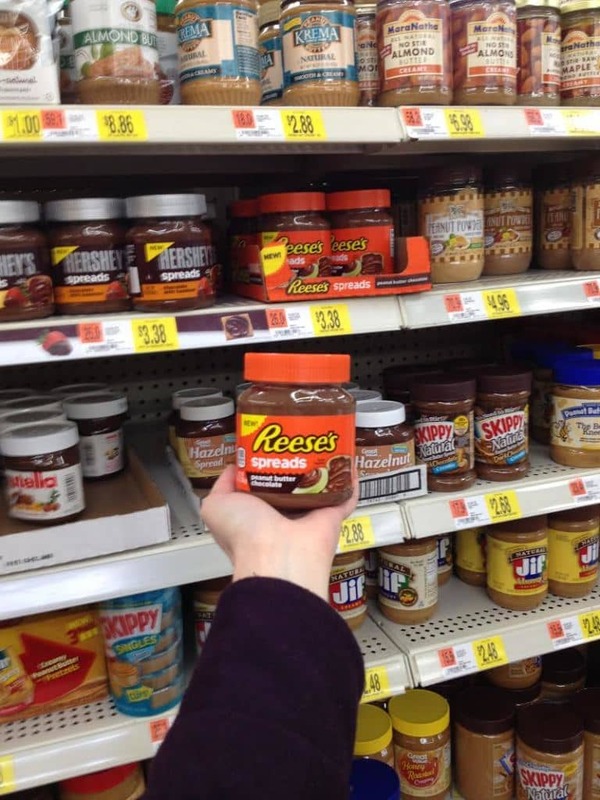 When I was at Walmart last week I discovered just such a product: Reese’s Spreads! It’s every bit as delicious as it sounds! If you like chocolate and peanut butter, this stuff is for you! They had a demo going on the day I was there, so I *forced* myself and my children to sample some. They were serving the spreads with apples and it was a fabulous combination! I love apples with peanut butter, add in chocolate and oh boy. So good! 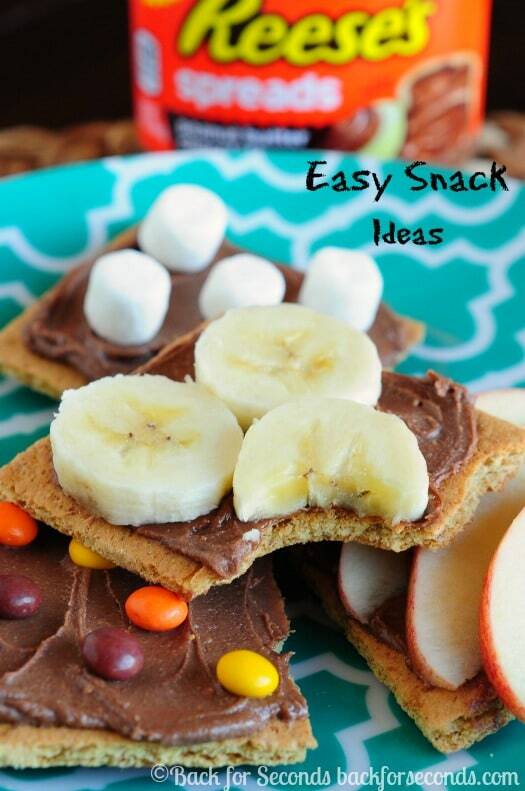 This got me thinking about different snack options! 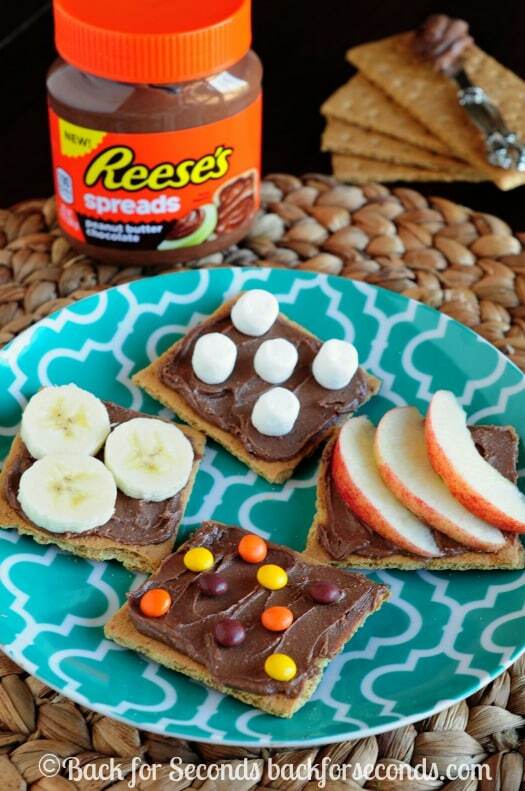 My kids are cracker freaks, so I decided to grab some graham crackers and add the Reese’s Spreads on top. Then to make it more fun, we chose a few different toppings. Apples, mini marshmallows, bananas, and Reese’s Pieces made the final cut. Each one was delicious! I bet dried cranberries and pears would be really good too! The possibilities are endless! 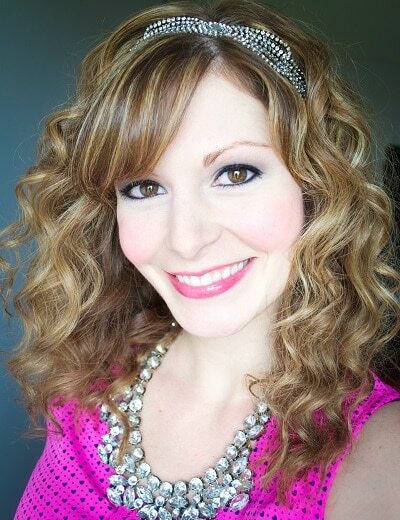 This couldn’t be easier to make and it’s totally customizable. 1. 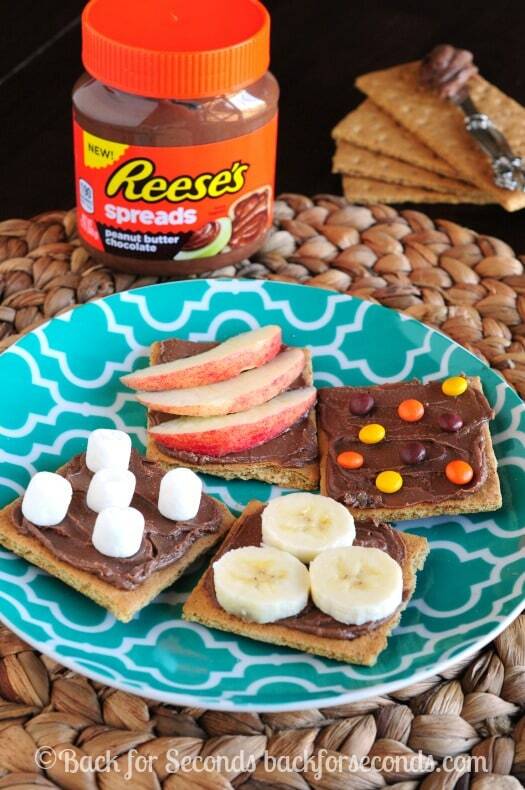 Spread a layer of Reese’s Spreads on a graham cracker. 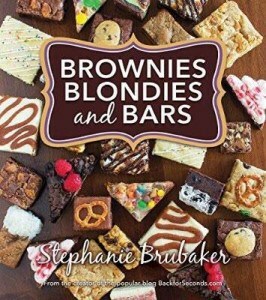 I want the one with the bananas!! I completely forgot about the reese’s spread until you posted this. Thanks for the reminder that I need to hunt it down again. I love that Reese’s Spreads combines my two favorite flavors-chocolate and peanut butter. I like to spread it on vanilla wafers and graham crackers. Thanks for the opportunity to win the giveaway. These look very tasty. I don’t know anyone who wouldn’t love to snack on these little goodies!